Acer announced a host of devices during its next@acer event at the Internationale Funkausstellung(IFA) Berlin trade show. Latest announcement include Swift 5, Swift 3, Aspire 7, Aspire Z24, ACer OJO 500, Nitro and the Predator. We take a look at the Acer Swift 5 laptop. Acer claims it is the worlds lightest 15″ Laptop weighing only 0.97kg. It has a metal design and very narrow bezels of 5.87mm, which should give a user more screen space. Also “combining ultimate portability with smooth usability”. 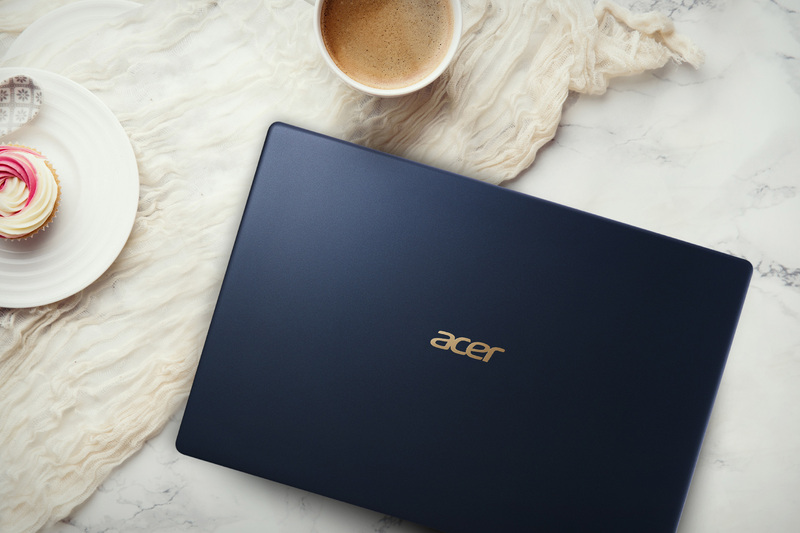 Coined by Acer, the new feather weight of size, shape an style has up to 10 hours of batter life. It comes with full HD touch display and USB C ports.